Every teacher knows that feeling when you have only a couple weeks left before the long-awaited holiday break. We would like to be out of school just as much as our students. Not only are we ready for family time (and a big glass of wine) but the thought of trying to create lesson plans for those last few days is almost too much! I even think to myself..."Why bother? There is no way students are going to actually buy into any activity we do at this time of year." After years of experiencing this dreadful feeling, I discovered escape rooms! 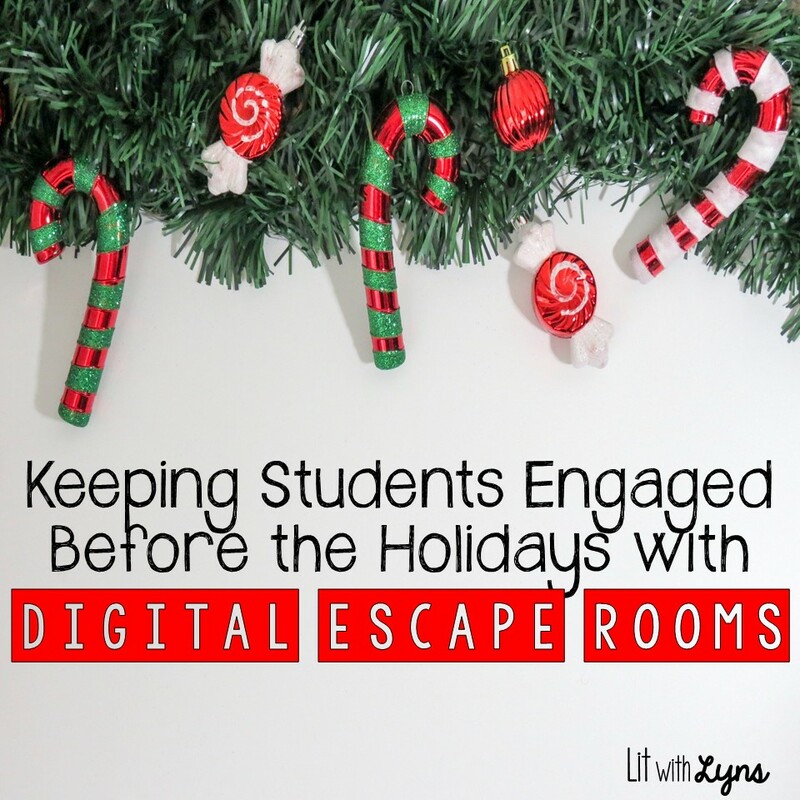 Using digital escape rooms in my classroom has been a total game changer. They have been my answer to making test prep/end of the year and back to school so much more enticing. Since I've started using these, not only do I not dread this time of year, I look forward to it! If you aren't familiar with escape rooms, they are a series of games/puzzles/etc., where contestants (students) use critical thinking and often teamwork to “breakout” of a room. Personally, I prefer digital escape rooms over the traditional kind because you don't have to purchase the locks and other props that are necessary for this type of breakout. With the digital version, students have the opportunity to explore a multitude of interactive websites where they can complete online jigsaw puzzles, decipher codes and secret messages...endless options, and they're all FREE!!! 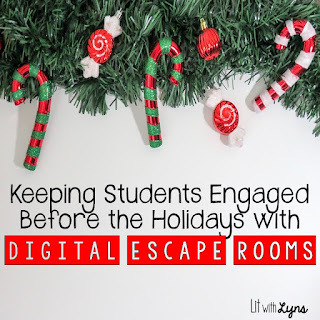 For my Holiday Digital Escape Room, I used familiar Christmas songs, video clips from a holiday movie favorite, and Christmas stories to have students complete interactive activities with moveable pieces that cover the following: context clues, figurative language, reading comprehension questions, and parts of the plot. Directions and links to these activities are hosted on a Google Form. For the "room" #1, students will read ‘Twas the Night Before Christmas' where they will see several words in bold print throughout the story. They will use context clues to identify the meaning of the words in bold and will match the word with the correct definition. Each vocabulary word has a number, and students will use the decoding tool to determine the code necessary to move on to the next room. For room #2, students will watch a video clip of "A Christmas Story" and will answer comprehension questions about the clip. They then are sent to a jigsaw puzzle which must be put together in order to determine the code necessary to move on to room #3. For room #3, students will identify the type of figurative language being used from various holiday stories and songs. They will then use a decoder to determine which letter goes with each number. 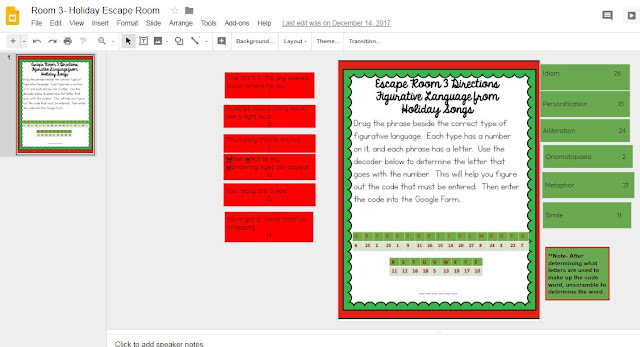 After determining the code, they must enter it in on the Google Form. For the final room- #4- students will click on the link to the Scope Magazine version of "A Christmas Story," where they will read it. Then students will fill out the plot pyramid, identifying all of the main parts of the plot. I have them show me their answers to the plot before proceeding back to the Google Form. After they complete the plot pyramid, they are directed to go back to the Google Form, which will take them to an image that has the final code. Once they enter this code, they will see, "Congratulations! You escaped!!" What are your go-to activities around the holidays? 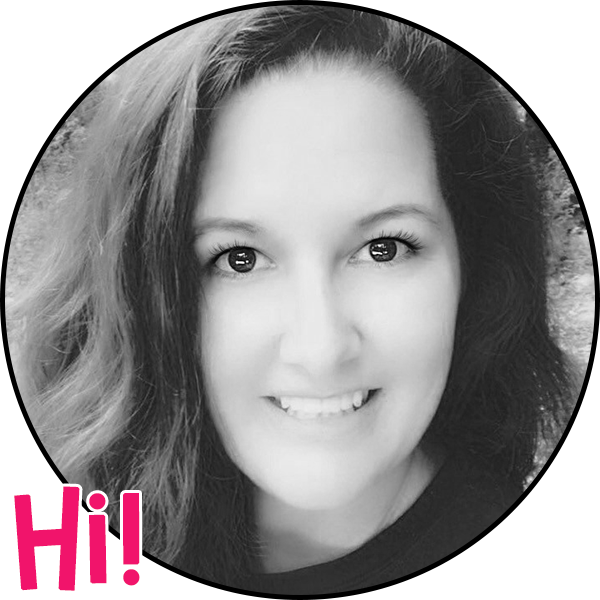 I'd love to get some ideas to use in my classroom. Tell me about it in the comments below.